Have you ever noticed this phenomenon? I keep seeing more and more about it in the news these days, talking about how we start listening to Christmas music too soon and it ends up making us feel worse as opposed to happy. 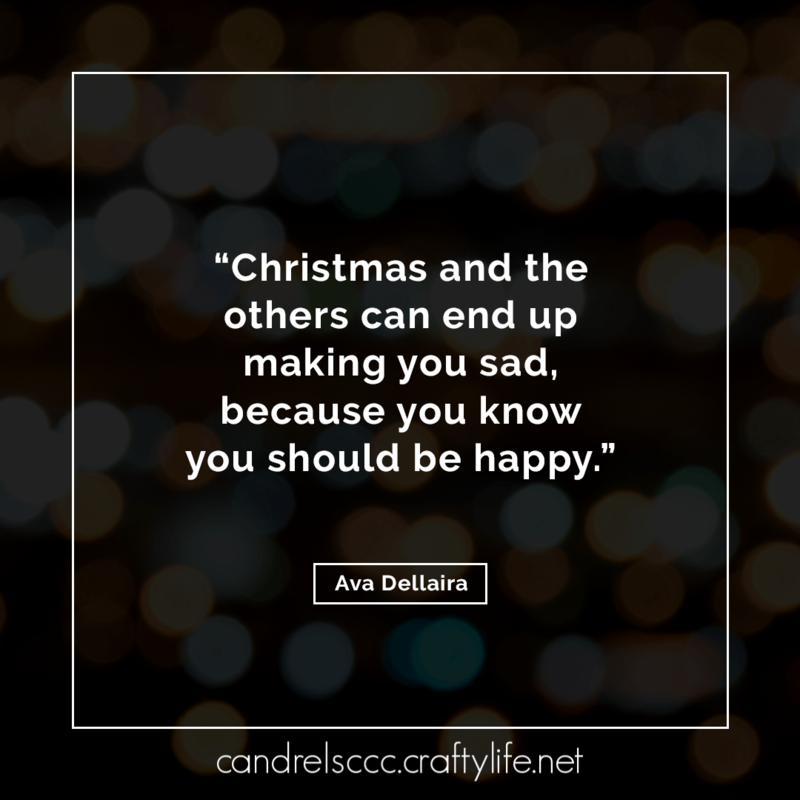 We put so much stress on ourselves to create the perfect holiday, and end up feeling miserable. And then for people like me, maybe you’re dealing with the loss of a loved one. This is my first year as a true orphan, as my mother died back in August. I also lost my great-aunt and my aunt that month. A month later, my best friend’s father died. This all after losing friends earlier in the year. Needless to say, 2018 has seriously sucked. And yeah, I’m feeling this for sure this year. Now, please don’t worry about me. I am okay. It will be okay. I have a great support system and take things one day at a time. But my question to you is, do you have that support system? Do you know people who need that support system? Friends of mine recently lost their son, whom they thought was okay, but was deftly hiding severe depression. Remember that there’s no such thing as a perfect Christmas. Sometimes it’s those glitches that make it even more memorable and worthy of stories for years and years to come. Keep tabs on how you are feeling. Check in regularly with your loved ones to make sure they are okay. Learn the signs of depression. And if you’re feeling lost, please reach out for help, such as the National Suicide Prevention Hotline at 1-800-273-8255.